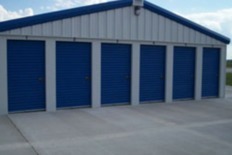 When it comes to self storage, no one in Macomb is more convenient than Storage Express – Macomb. 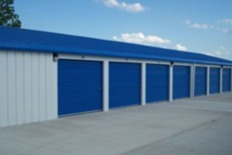 Our property on US-136 offers some of the best amenities available to the self storage industry, including lighting, 24-hour gated access, drive-up access, online bill pay, and 24 hour customer service. Please let us know if we can assist you in your self-storage needs! Attend Western Illinois University? Students are some of our best customers! We’d love to help you find the space you need to supplement the lack of storage space in your dorm room and we’ll even provide you a space to leave your belongings during the long summer break. We’re only four minutes from the campus, providing you with an affordable and convenient solution to the problem of space. Now you’ll never need to haul your furniture or books home for the summer months again! We’re right across the road from Forest Lawn Memory Gardens Cemetery. Whether you live in Colchester, Fandon, or up near Spring Lake, we promise to be your best choice for storage! Call us any hour of the day or night.